IRVINE, Calif. /California Newswire/ — UC Irvine has been named the official Host University of the XPO, a clean, renewable and efficient energy exposition that will be held alongside the U.S. Department of Energy Solar Decathlon 2013 at the Orange County Great Park this October 3-6 and October 10-13. The university will also stage the first-ever California Challenge, a time trial competition for energy-efficient race cars at the XPO featuring student-engineered vehicles from across the nation on October 5 and 6. The host university designation formalizes the important role that UC Irvine has played in planning the XPO portion of the Solar Decathlon 2013 and XPO joint event. The addition of the California Challenge allows high school and university students to test their skill in designing and building electric and alternative-fuel hybrid vehicles. Cars powered by methane and electricity – as well as those with efficient gas engines – will compete. The race track, being built on the former military plane runways at the Great Park, includes a high-speed section, auto-cross section and a staged idle section. The maximum distance traveled in one hour using $1 worth of energy from sources wins the challenge. The California Challenge will be part of the XPO Transportation Zone, where the public will also have the opportunity to test drive fuel-efficient hybrids and zero-emission, plug-in electric vehicles. As part of its XPO host duties, university staff will also videotape key presentations at the XPO’s Powerful Ideas Symposium. The California Challenge is an invitational event. Racing teams may apply to enter at http://sites.uci.edu/californiachallenge/. For more information on the XPO, visit www.the-xpo.org. Volunteers will play an important role in the Solar Decathlon 2013 and XPO and will work alongside event organizers. Students, faculty, staff, alumni and members of the public who would like to volunteer at the events can register or learn more at http://www.the-xpo.org/participate/volunteers/. *Editors Note: Photos of California Challenge vehicles and event renderings available upon request. UC Irvine is a fitting partner for the Solar Decathlon 2013 and XPO. Its Henry Samueli School of Engineering is at the forefront of education and research in the engineering disciplines that will shape the future. UC Irvine is ranked first among U.S. universities under 50 years old by the London-based Times Higher Education and one of the Sierra Club’s top 10 “Coolest Schools.” Located in coastal Orange County, near a thriving high-tech hub in one of the nation’s safest cities, it was founded in 1965. One of only 62 members of the Association of American Universities, the campus has produced three Nobel laureates and is known for its academic achievement, premier research, innovation and anteater mascot. Led by Chancellor Michael Drake since 2005, UC Irvine has more than 28,000 students and offers 192 degree programs. 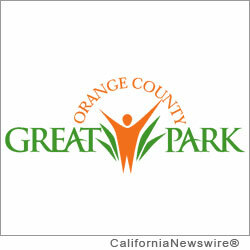 It’s Orange County’s second-largest employer, contributing $4.3 billion annually to the local economy.